Bored with the hosting the same old parties? Tired of going to parties where everyone stands around talking about nothing? Why not try hosting a game night party! Game night parties are great fun for everyone. Having one virtually guarantees a successful party. You won't have to worry that one of your guests will be left alone, standing by the snack table gorging themselves, or that everyone will be leaving early because your friend from work keeps telling them about the hairy mole on her back. 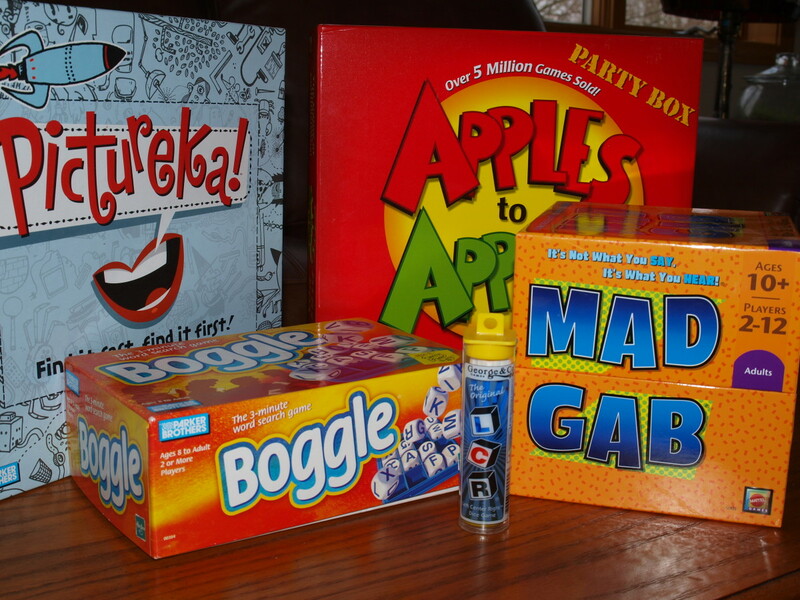 With these helpful suggestions, you can start planning your game night party now. Choose the right games - Your party will be a bust without games that your invitees want to play. Adults in their fifties and sixties don't always want to play Twister and twenty year olds may not be interested in the 1980s television version of Trivial Pursuit. Don't invite too many people - Unless you have a really large space and plenty of tables and chairs, keep the guest list manageable. You want to have enough spaces for people to sit and join in. Invite an interesting mix of friends - Keep in mind who you are inviting so you have a nice mix of people who enjoy themselves. It's fun to mix it up a little bit and people always enjoy making new friends. Ask your friends to bring a game too - Most people love bringing a game and many times they'll introduce you to a game you've never played before. Have plenty of portable snacks and drinks - People will want to bring their snacks with them to the game table, so don't have foods that are hard to eat or that you need both hands for. Finger foods are the way to go. For drinks, provide lots of cans and bottles that are easily carried around. Don't choose games that take too long - There are some games, like Monopoly, that are loads of fun, but take forever to play. Keep the games shorter so guests can switch around to other tables. Choose games that lots of people can play - There are some games that only 4 people can play. You want to have games that can be open to as many players as possible. Keep it casual - Don't be too structured on game night. It's amazing how your friends will adapt to the evening. You may have someone who decides to be the timekeeper and lets everyone know when to end a game or switch tables, and you may have friends who just want to watch. Bunco is a great party game for groups of 12. Chances are you probably know someone who is in a Bunco group and they can tell you how much fun it is. 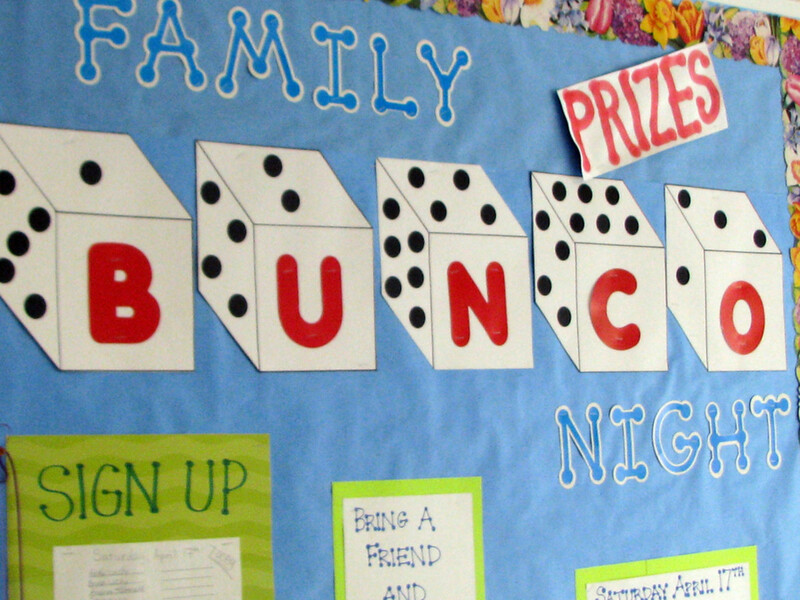 Learn everything you need to know about Bunco when you read Bunco Night Done Right! How to Run a Monthly Bunco Group. Depending on how many people you think are coming, have tables and chairs set up. Don't forget that some of your guests may not want to play, or decide to stop playing, so have an area where people can mingle. If you don't have enough tables and chairs you can always borrow from a neighbor or ask one of your friends to bring some. You can also use a coffee table, breakfast bar or kitchen island as another game area. Deck furniture also works when you are in a pinch. Another option for people short on space, is to have a game area set up in front of the television and have a video games as one of the games offered. Have a few games out on each table. Different people like different games so be flexible and have your guests decide what they want to play. 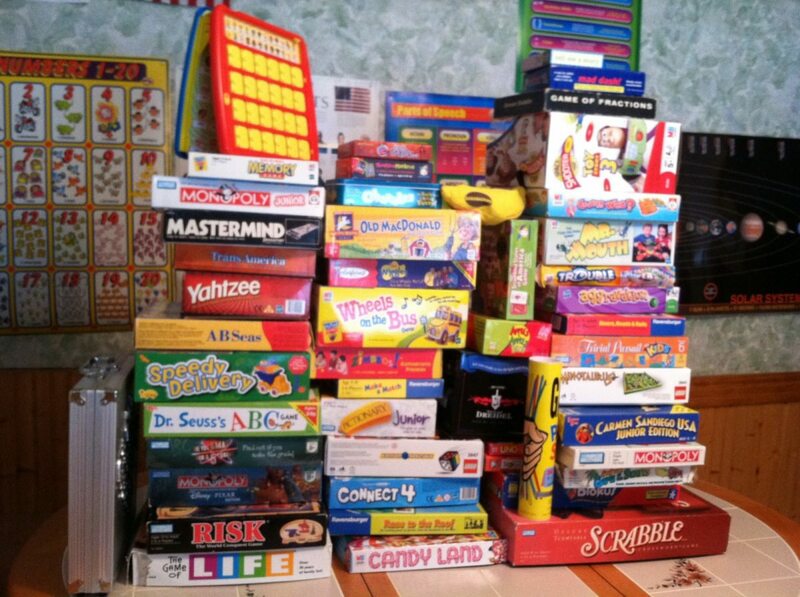 For more organization, have one table with dice games, one with cards games and one with board games. If you have invited friends with children, set up a game table for the kids in another area, like the basement or playroom. 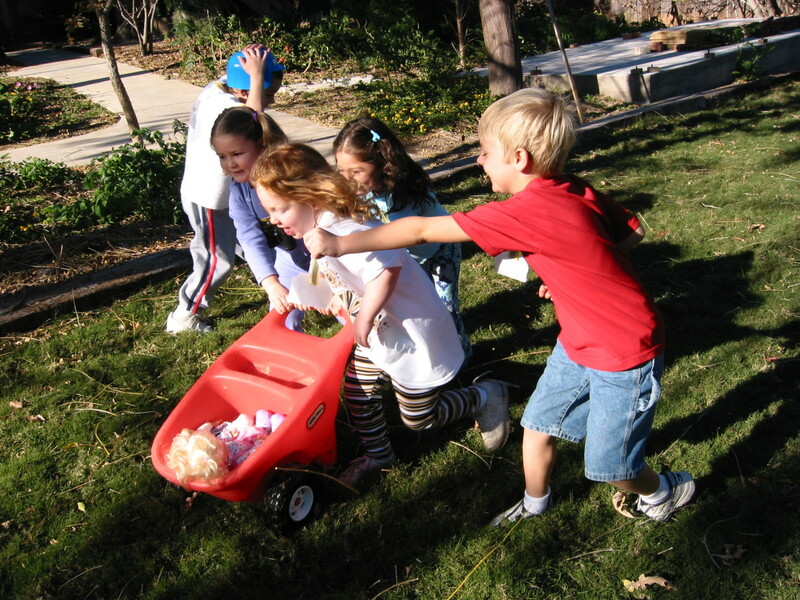 Kids will play games for a little while, but get easily distracted so it's best to have an option for them. Set up snacks and drinks in a central area that won't be used as a game table. Have small snacks on each table that guests can munch on while playing. Because you want games that won't last all night, you want to choose your games wisely. 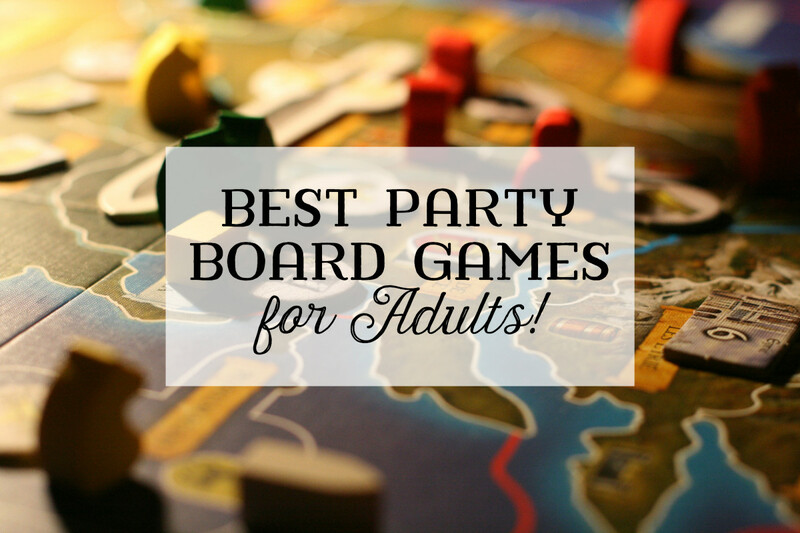 Here are some games that are sure to guarantee a fun and lively party. Remember to have paper and pens available for games that need them. Also, have a couple of decks of cards out. Some people may just want to play a few easy card games. Great for all ages. Great for large groups. Fun for all ages, except younger children. Great for large groups. To save money why not have a potluck instead of providing all of the food. Ditch the theme so you don't have to buy decorations and use your own plates, napkins and cutlery. Use games you already have on hand instead of buying new ones. Give your game night party a theme for even more fun. Carry the theme through the entire night, from the invitations, to the favors at the end of the evening. Dollar stores are a great place to get cheap supplies. They usually carry inexpensive paper plates, napkins and cutlery in all sorts of colors and decorations for every season. Here are a few themes with suggestions to help you get started on your party planning. Ask guests to wear tropical shirts. Give out leis to all guests. Colorful little umbrellas are a cute addition. A fresh and colorful fruit platter and colorful drinks are perfect for this theme. Ask guests to wear black, red or white. 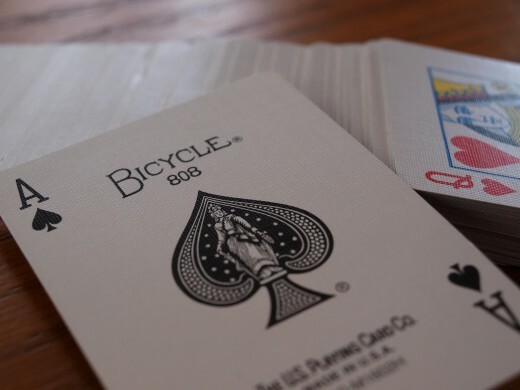 Give out decks of cards as favors. Dice cake pops would be a hit, as would a themed drink. Mini skirts and tie dye are always fun, but any era can be highlighted. Retro snacks like fondue or nostalgic candy are good for this theme. Decide on a color of the night and tell guests. Try to have snacks in that color and have color coordinated plates, napkins and cups. Give your guests beaded necklaces and have lots of them laying on the tables. Give out masks as favors. Try to have Mardi Gras themed snacks. The colors of Mardi Gras are purple, green and gold. Have a king cake. Choose a holiday and go with it. Red for Valentine's Day and ghoulish decorations for Halloween are just two ideas. Themed cupcakes are always a favorite with guests. Put your small table snacks in holiday bowls. Red, white and blue (or whatever your patriotic colors are) would be good colors for friends to wear. Small flags on each table or flag toothpicks for appetizers add to the theme. Carry your patriotic colors through your food. Strawberries dipped in white chocolate and sprinkled with blue sugar is perfect for a red, white and blue theme. Whatever you decide to do with your game night party, just remember to have a great time and be confident that your guests will have one too. Everyone loves playing games and getting together with friends. Carcassone is one of my favorites and my daughter loves it too. We have some friends that can turn that game into a very long strategic night. Bunco is still one of my favorite game night games. Thanks for you comments and reading. We've done Bunco nights with groups as small as 12 and as large as 24. It's pretty fun, but I think the women like it better than the men. We've played for prizes and money. With smaller groups we like to play games like Agricola, Ticket To Ride, and Carcassonne. I appreciate it DDE. 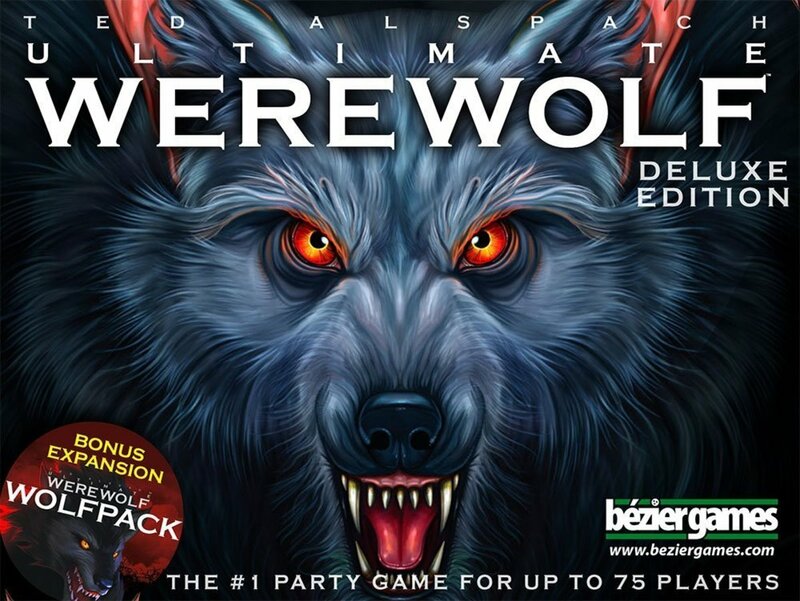 Games nights are so much fun and it is worth it to make some time for one. I can't remember when was the last time we had a game night you just jolted my memory. Since computers and so many other buys schedules life goes by so fast and game nights are not even thought of. You mentioned great ideas. Thanks Nell! I've never heard of draughts, but a game night party will definitely keep you awake. I appreciate the visit! I appreciate it Rosie. Farkle is a great game and a good one for a big group. Thanks for commenting. These are some fantastic ideas! I love to play Farkle ever since playing at a relative's house. I went to a neighbor's casino night a few years ago and it was great. The entire basement was set up like a casino - it was a lot of fun. Voted up and useful. Hi Michelle - Yeah, too many people and it loses some of it's charm. thanks for the comments. I appreciate it Denise. Aggravation is a good one! If you don't have a lot of space, a party in the summer is always fun, some people can sit outside too. Thanks for the support! I think the point about not inviting too many people is so important. It is hard to play games that way! Thanks for sharing! Wonderful suggestions here. I love planning and hosting parties. Here in NC our home is so small, I've only done a few. The one we had for my father included the game of Aggravation. :) UP/I/sharing. CarNoobz - Love battleship but it's tough at a game night party. Now Uno, my brother is real adept at hiding a few extra cards. Thanks for the comments. Martin - I think these nights are great ways to stay in touch with friends or family. A game club sounds neat too. Did you switch houses every month? That would ease some of the burden of one person always hosting the night. Thanks for reading. Thanks Jackie! Sometimes it is nice to get a break so potlucks are always a good idea. It's amazing how expensive it can get with even just a few friends over. Thank you for this. 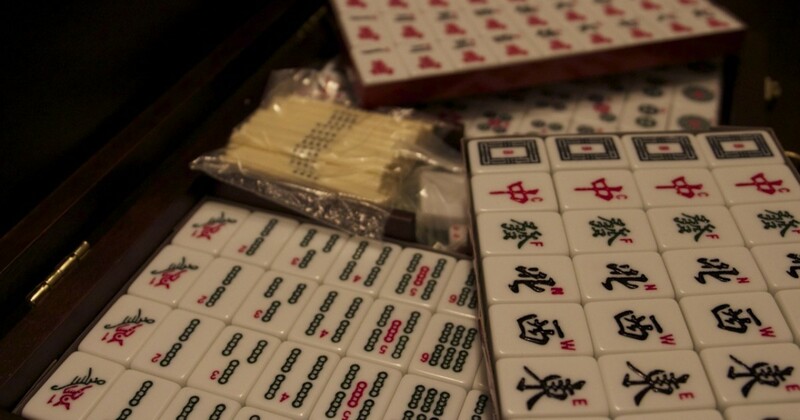 Table games was my hobby since I was 8. We use to have monthly "game club" meetings. Great hub and advice. I use to have these parties and a lot of fun but it got to be too much work when no one else was doing it to give me a break (financially too) so it has been awhile...but it was fun. Start planning your partie Robie! Even people who don't want to play anything enjoy watching or mingling and have a good time. Thanks for the nice comments. Hi savingkathy - I'm glad you liked the hub. This is such a fun night and friends like it because it's a little different. Thanks for the share Bill! I hope you do give it a try again. We always look forward to our parties. This is fantastic! You've made me want to plan a games night party of my own soon. Thanks for sharing your ideas! I appreciate it Bill. I imagine there was not too much to do in those harsh winters. Games are a great way to pass the time and spend time with friends and family. Ha Ha purl3agony! That's great. I wonder what our friends would think about a Fabio cutout. I might have to think of a fun gift like that for our next game night party. I'm glad you enjoyed the hub. Cool job on this one. We used to have quite a few game nights in Alaska when I was teaching up there. There was nothing else to do considering how brutally cold it was there. Great hub! These ideas are great starting points and any group of friends can add their own twist to their night. My friends and I had a long running tradition of game nights :) The overall winner for the night won a prize - a cardboard cutout of Fabio - that they had to bring to the next game night and pass on to the next winner. It was goofy, but a lot of fun. Thanks for posting! !